The month of March was very busy yet been extremely successful at CMH Suzuki Hillcrest. March offered the first chance to get out and showcase ourselves to the Upper Highway community by hosting a display at Hillcrest Corner. Hillcrest Corner is among the most popular shopping centres in the area and provided a fantastic setting. 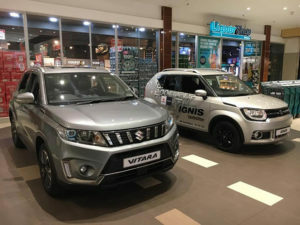 The display prompted the general public to take time out of their grocery shopping and take an in-depth look at two of our most prized vehicles; the Suzuki Vitara and Suzuki Ignis. Both these incredible vehicles showcase the sensational build-quality that Suzuki is renowned for in both SUV’s and hatchbacks. 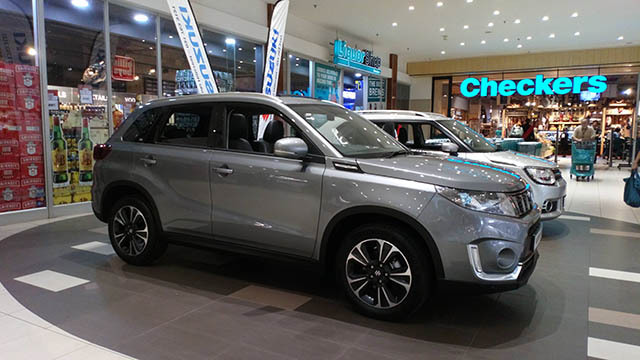 The Suzuki Vitara is among the most well-equipped crossover-SUV’s in the South African market. Many features are standard and is offered in both manual and automatic transmissions to ensure that anyone, no matter their driving preference, is able to drive in superior comfort and safety. One of the most stylish hatches that will be seen on our roads; the Suzuki Ignis checks every box of the modern day hatchback. 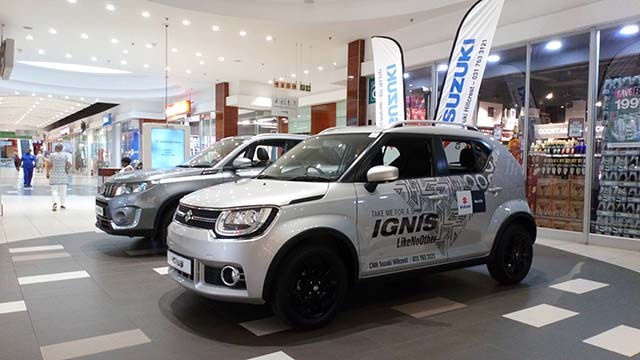 Efficient and comfortable along with incredible styling in both the interior and exterior, the Ignis is your first choice whether you are looking for something to get around town in style or have a road trip with your friends down the coast or up to the Drakensberg. 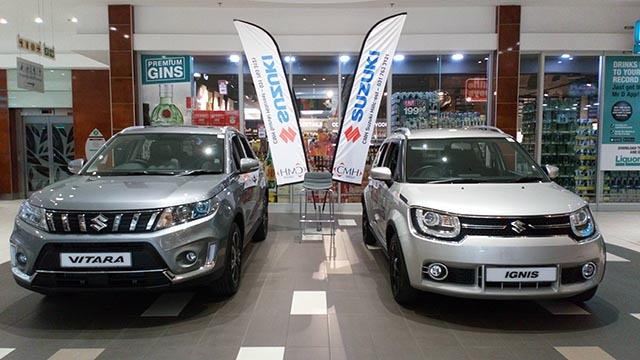 As we edge closer to Easter, be sure to join us CMH Suzuki Hillcrest to experience the fantastic atmosphere and take a closer look at our range of sensational vehicles.